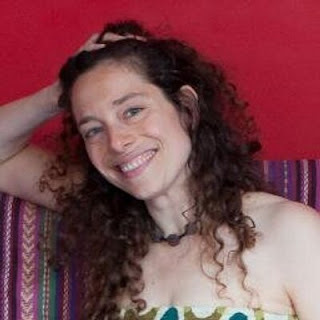 Maya Alexandri is the author of the new story collection The Plague Cycle. 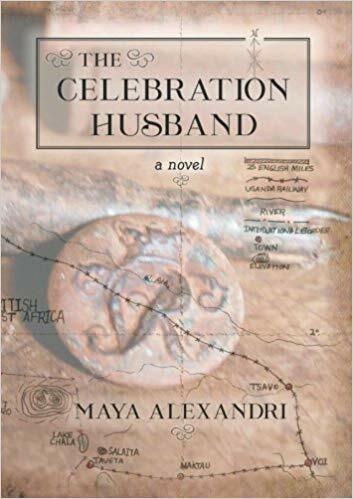 She also has written the novel The Celebration Husband, and her work has appeared in a variety of publications, including Scarlet Leaf Review and Dime Show Review. Q: What was the inspiration for your story collection The Plague Cycle? A: I like to run. When I run, I often listen to music and allow my imagination to conjure fantastical montages. Years ago, when running on a treadmill, listening to something—I don’t remember what—I imagined a group of people traversing an impenetrable landscape, running from something, to something—it was a montage, the narrative was not defined—and using a hologram of a massive monster to protect themselves. The idea was that they were vulnerable, on foot, running through this inhospitable, stark landscape, and armed only with this capacity to unleash a horror to scare anyone who might intend to harm them. Much later, when I was writing the first story in The Plague Cycle, “The Sudd,” I was again running on a treadmill, and I remembered my fantasy. By then, that fantasy montage had been hobnobbing in my brain with Tayeb Salih’s brilliant novel, Season of Migration to the North, which I first read in 1993 and have read repeatedly ever since; Helen Epstein’s keen reporting on the 2014 Ebola outbreak in The New York Review of Books; Richard Preston’s excellent account of Ebola in Sierre Leone in The New Yorker; my own experiences living and working in Kenya; and undoubtedly many other images, imaginations, experiences, and works of art. And from that multi-dimensional seed, The Plague Cycle grew. A: This is a tough question! I do not know how the book’s title was chosen: the title came to me; maybe it chose me. 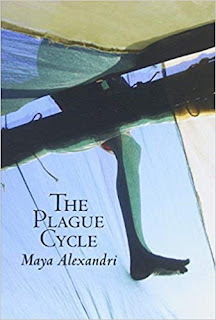 When I realized that the stories I had written were a collection, I found the name in my head: The Plague Cycle. It felt right. The title signifies to me Greek drama, epic stories—stories that unfold across successive generations, recounting actions that reverberate, their consequences rattling down the spine of human history. Q: You’ve written a novel as well as stories—do you have a preference? A: I love the novel as a form. The novel can distill the epic poem and its successor, the play—both communal, publicly-performed art forms—into a private experience; what incredible power! And life is long. Life stories are long, misshapen, inconsistent, immersive, and persevering. Long attention spans are the most comprehensively and deeply rewarded. Novels tell the story of a life. But short stories are very satisfying to write. And—I think—to read. Also, in The Plague Cycle, I surprised myself by using the short form to producing something that feels, to me, like it delivers what I always hope a novel will achieve. So, in conclusion, if I have a preference, it is not very well rationalized. A: The older I get, the more I am overwhelmed by Shakespeare, his breadth, imagination, and humor. I have been going through a period of obsession with Homer’s The Iliad, which is a follow-up to my earlier obsession with Ovid’s The Art of Love. I am smitten by poets. Mary Ruefle’s poem “Blood Soup” is one of many poems to which I return to drink the rejuvenating waters; Louis MacNeice’s “Thalassa” is another such poem that has eased my agitation in agitating times. The novelists who transfix me are too numerous—we are a species blessed by an extraordinary number of superb novelists!—a smattering of my favorites include Jane Austen, George Eliot, P.G. Wodehouse, Henry James, J.G. Ballard, Mario Vargas Llosa, and Javier Marias. And George Orwell. He is dead, but maybe I am in love with him anyway. A: I am writing a dark, narratively-lavish short story inspired by a similar conceit that apparently fascinated Henry James and led him to write The Turn of the Screw: a ghost that haunts an adult woman by appearing to her child. A: That we live in a society where professional writing is so frequently incompatible with economic self-sufficiency is grievous. I have so much admiration for the courage, perseverance, and kindness of writers who continue to contribute their gifts for the benefit of readers despite the inadequacy of economic incentive. The writer’s struggle is predictable; one aspect of being a writer that has surprised me with its tremendous rewards has been interacting with, reading, mentoring, and learning from younger writers. I am in a Skype creative writing group with an incredibly wonderful group of writers who studied at Goucher College. Fellowship and friendship, giving and receiving, on this writerly path, is a buoyant and (for me) unexpected parallel to communing with other writers through their works (for example, dead writers, or writers inaccessible because of geography or fame).